Our city is a landscape of (invisible) networks. 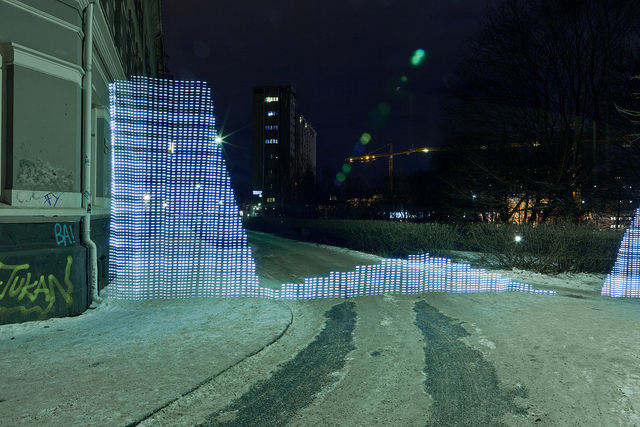 Three designers from Norway wanted to reveal this immaterial terrain. 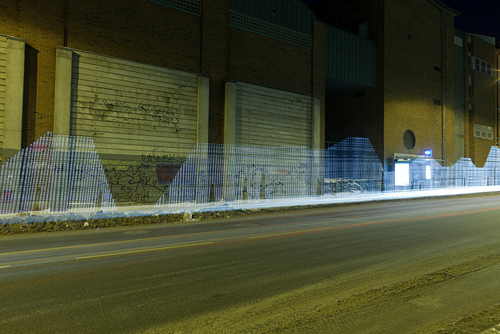 In their project titled Immaterials, Timo Arnall, Jørn Knutsen and Einar Sneve Martinussen used light and long-exposure photography to capture the conduits of WiFi signals. They built a WiFi measuring rod that visualises WiFi signal strength as a bar of lights. The more lights activated on the rod, the stronger the signal is. 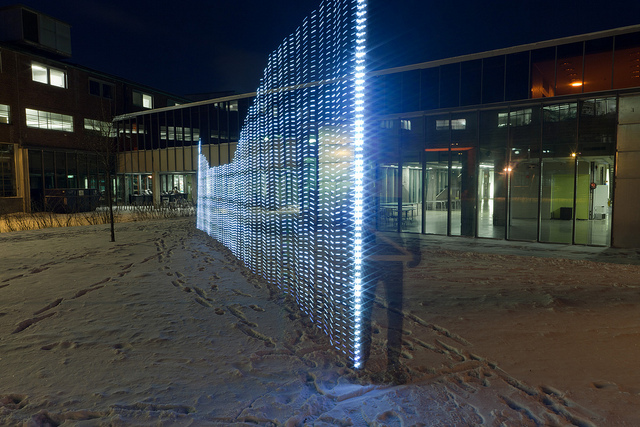 “The size of the measuring rod and the light paintings it creates emphasizes the architectural scale at which WiFi operates, and situates the networks in the physical environments that they are a part of,” as Einar Martinussen wrote on YOUrban blog. You are currently reading Northern lights, WiFi lights at it's a small web.